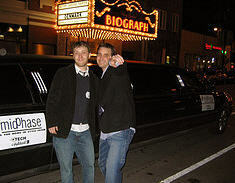 Last night (October 12, 2006), Eric Olson and I hosted our second TECH cocktail in Chicago at the Gramercy. As we first envisioned nearly 8 months ago, TECH cocktail 2 brought together the technology enthusiasts, entrepreneurs, bloggers, podcasters and corporate masterminds in the area. With the list of rsvp'ed guests at 400+ for the evening by the events start time, I was a little leary as to if we could keep every guest smiling. I feel like that if the 350+ guests that did attend even had a quarter the fun I had I would consider it a great success. Judging by the feedback I have gotten, I think we can rest assured we pulled it off smoothly. 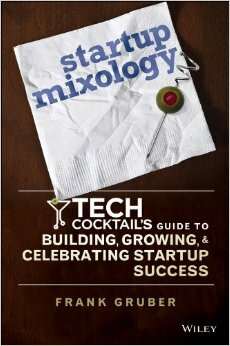 I am extremely thankful to a number of people and companies that made TECH cocktail even happen. First of all, a quick thank you to Eric Olson for being great partner in TECH cocktail crime and more importantly a great friend. Secondly, thank to all of our sponsors which included midPhase, mk Capital, Coastr, Liquid Talk, Chicago.com, Digital Bootcamp and Chicago Enterpreneurial Center. Thanks to all the companies that were willing to go under the hood and showcase their products. This includes eSigma, GrubHub, Pawky.com, Planypus and Time59 - thank you. Thanks to our three film crews which include Liquid Talk, Stone Cliff Productions and TechnologyEvangelist.com. Thanks to Jonathan Wolter for working registration and spreading some TechSocial love. Thanks to guys from Freshwater Venture who brought some pretty sweet company baseball cards. Of course, thank you to my family and friends for coming out and supporting the movement. Don Loeb was even in from San Francisco to attend - thanks for coming Don! Finally, special thanks to Jeff Pulver for coming over from New York to attend and pick up a tab on several hundred rounds of drinks. 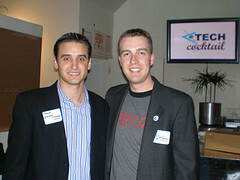 Here are the photos tagged techcocktail2. We also took the opportunity to introduce a new TECH cocktail product called TECH cocktail Specials (techcocktail.com/jobs) a job listing board that we hopes helps to connect employers with jobseekers surrounding TECH cocktail events. Not to mention, proceeds will help to support future TECH cocktail events. If you are interested in giving it a free trial please feel free to email and I will hook you up. The site was developed by Phraction. With two TECH cocktails downed smoothly - we will see you at TECH cocktail 3!